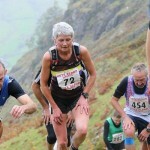 World meet Jill Butterworth  We celebrate the launch of the runeatrepeat.co.uk blog with this interview. 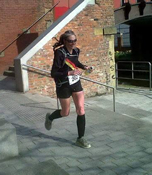 Learn about Jill’s running story, how she got into running, her inspirations and how she ultimately progressed to an amazing 2nd lady in the 100k Canalathon Ultra! Inspiring for anyone considering running or looking for their next challenge – regardless of distance or ability. What was your life before running? I never ran at all before the age of 30. My dad and uncle were very good club cyclists from a fairly young age and although I had gone out on the bike once or twice with my dad I never really got into participating in sport at all. In fact I used to get out of cross country at high school by using my asthma as an excuse! If anyone had suggested I would run at all, at any distance, I would definitely have thought they were being ridiculous. I did enjoy following the cycling though. We spent a couple of family holidays following the Tour de France and I marshalled at the Leeds Wincanton classic cycle race with my dad. My first sporting heroes were cyclists such as ‘Big Mig’ Indurain (resting heartrate of 28bpm – just amazing). My dad’s hero was Tommy Simpson, the British cyclist who died while racing up the Ventoux during Le Tour. The way he refused to give in did stick with me – refusing to get off the bike and dying on the mountainside, his last words reputedly being “on, on, on”. I’m currently reading the biographies of him and Eddie Merckx. When did you decide to run? 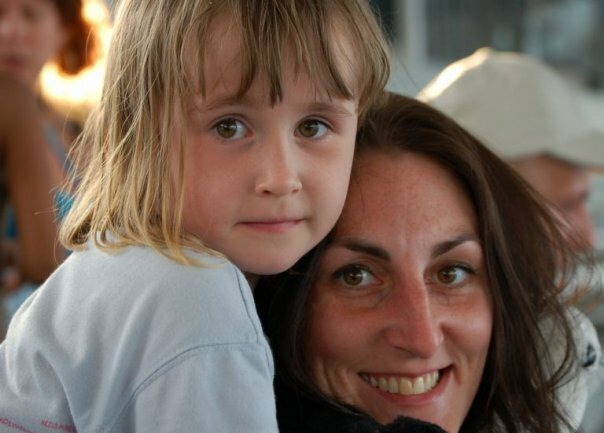 Running had never crossed my mind until about two years after the birth of my daughter. Mia was born with complex congenital heart defect, needing several surgeries and hospital visits, especially in her early years. She will need further surgery in the future. I was involved in some parents’ support online forums, and someone posted about the inaugural Great Manchester Run (2003) and that they were looking for runners to raise money for Francis House Hospice. I signed up straight away. Shortly afterwards my best friend Claire signed up too. We ran/walked the 10k in 1 hour 15 minutes, stopping to take pictures of ourselves along the way! I got such a buzz when crossing the finish line that I knew I definitely wanted to run another race. Being a complete newbie to running the only other race I’d ever heard of was the London Marathon. So I signed up for that (and fortunately didn’t get a place straight away!!) I managed to get a place in London 2005. This coincided with waiting for a date for Mia’s open heart surgery in Birmingham – a very cheap NFL jerseys complex, rare operation called the rastelli-senning. I thought it was the Юбилейный, worst timing possible. As it turned out all the long runs helped with my stress levels immeasurably and training went well. Half way through my first marathon I hated it though, and decided “if I’m only doing one I’m going to make sure I bloody well run it all the way”. Which I did  Mia had her (successful) operation a few weeks later. Never in a million years would I think I would go on to complete 12 marathons and 3 ultramarathons. Mia was and continues to be my inspiration to run. Everything is for her. 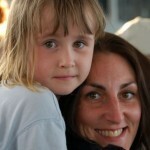 When she was diagnosed I really felt quite helpless. As a parent you just want to “kiss and make it all better” for your child. But of course I couldn’t – I’m not a surgeon, I don’t have the ability to make her heart defects better. What I could do though problem was raise money to help the people that could make it better for Mia and others like her. I raised money for the hospitals, for charities that fund research into heart defects, for organisations that fund state-of-the-art hospital equipment… Pendlebury Children’s Hospital, the Children’s Heart Association, The British Heart Foundation, 3D heart scanner appeal for the children’s hospital, defibrillator fund at Mia’s school, The Royal Manchester Children’s Hospital among others. The hospitals and all the charities were so amazing that I really wanted to express our thanks to them for all the excellent care and support they’d given us. That’s as true now as it was at the beginning. Obviously I came into running quite late! 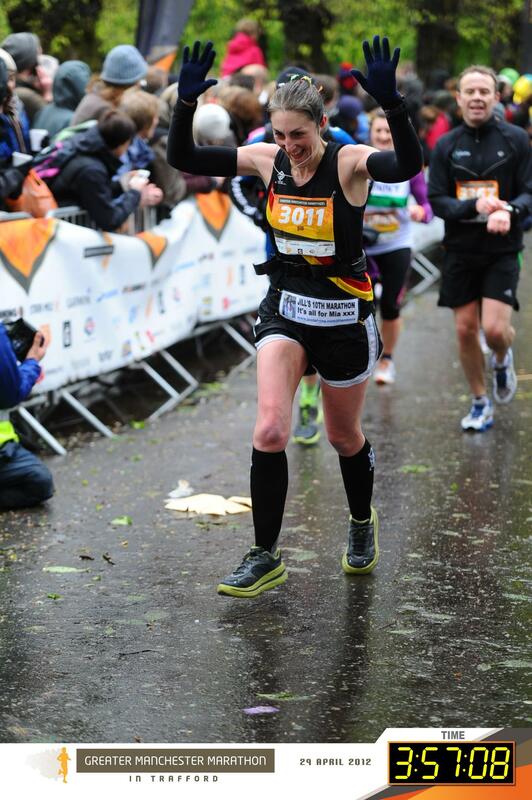 Of course Paula Radcliffe was an inspiration when I first started marathon training. Sonia O’Sullivan, who won the Great Manchester Run the second year I ran it. 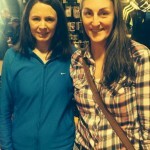 And Jo Pavey who also has won the Great Manchester Run (twice!). 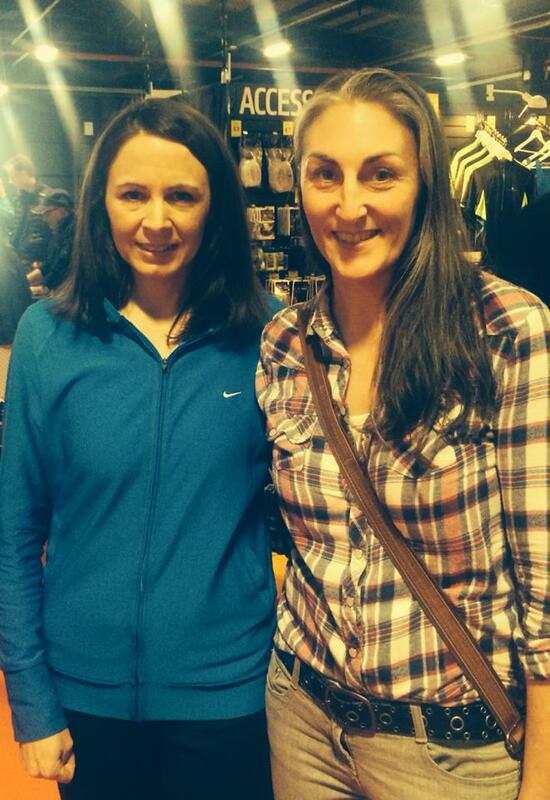 You can’t fail to be inspired by Jo Pavey’s remarkable achievement in the European champs recently and it was amazing to actually meet her a couple of weeks ago! I’m really inspired by athletes that never give in and push themselves beyond what’s expected. It’s the endurance thing that fascinates me, that ability to push on and on and never give up. That drive that makes someone carry on beyond the point at which the body should stop. Tommy Simpson comes to mind again. 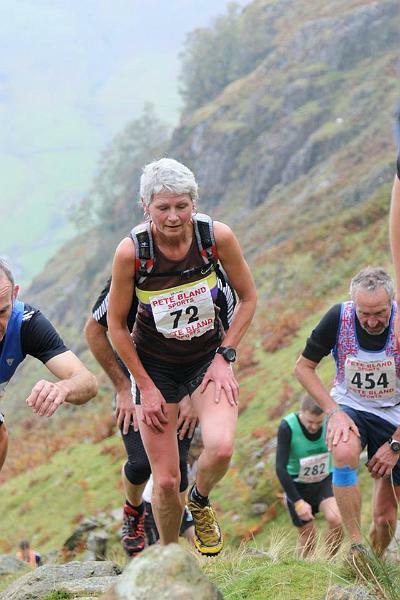 Ultra running inspiration has to be the amazing Nicky Spinks – with her achievements over the Bob Graham, Ramsay Round and Paddy Buckley. The fact she is taking on the men in such tough events and smashing it. What a great role model. I must say though, the people who really inspire me to keep striving to improve my running on a day to day basis have been the amazing athletes in the running club. 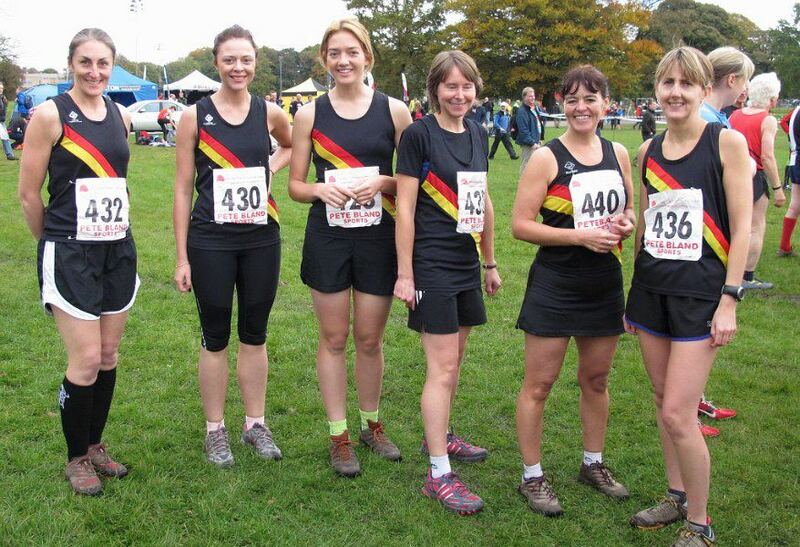 Colin and Brenda Robinson, team-mates Anna, Jan, Ann-Marie, Jenny and Josepha to name just a few. Whenever I think I’m doing okay with my running I look at their achievements and it makes me realise I’ve got a long way to go! Did joining a running club help you? Absolutely yes. 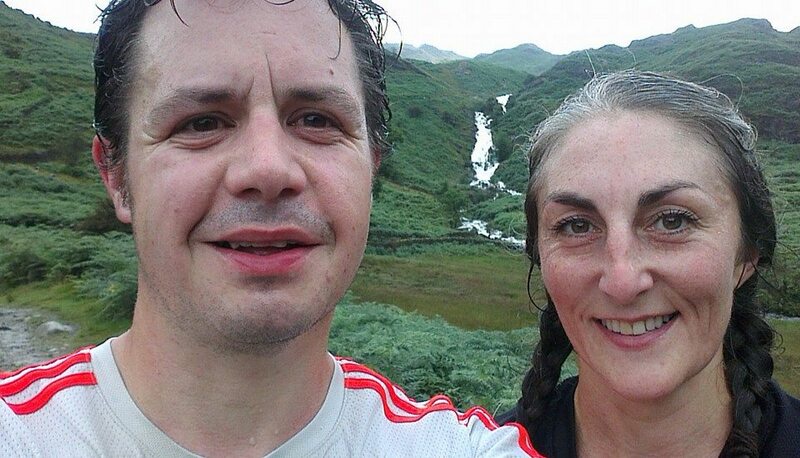 Being in a group of so many like-minded people is brilliant – and of course I met my partner Nick at the running club! Nick has helped me so much of course, encouraging me, supporting me and enabling me to go out running for hours at a time (effectively from dawn until dusk for several Saturdays this winter). 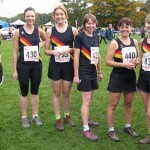 The club has an amazing range of runners with a range of different interests – track, road, cross country, fell. There’s always someone with the experience to be able to offer advice and support, and I know that’s something that I’ll continue to benefit from. I love the team events, relay events and just competing for the club, it definitely makes you push yourself harder. It’s always a fantastic atmosphere at the races. I love being a part of the Harriers. I was blown away by the support from the club at the canalathon, it really did lift my spirits seeing my club mates and I’ll never ever forget it. I can’t thank everyone enough, Sharing the support has been priceless. When and why did you decide to get into ultra running? I had done several marathons and was finding that the training wasn’t as challenging as it used to be and that I was feeling good pretty much all the way through the marathons. I’d started to think about trying ultra distance a few years before I actually went for it! I’m a fairly average competitive club runner but I do seem to suit plodding through the long distances in ultras. And I enjoy them, in a way! I’m not sure I’m particularly good at it! Feels a bit vain for me to say I’m good at them, but I definitely think that the ultra distance events seem to suit me very well. I really love the training, I find running for hours and hours on my own is really relaxing, and I just love the endurance aspect of ultra distance. One of my most memorable moments was running my first ultra, 35.9 miles at Ladybower in the Peak District in 2013. Training had gone really well during that summer, although I kept running out of water during my training runs! It was during the very hot summer and I had to get water where I could, from non-drinking taps up at the res, and beg water from a small cafe in Todmorden! During the actual event I had a plan and I stuck to it. During the first few miles I was right at the back of the field. I felt pretty good most of the way and found that I was overtaking a lot of people after about 26-28 miles. 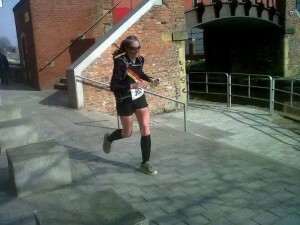 In the end I finished 2nd lady and was 5th overall. I was absolutely over the moon! I was glad I’d not panicked in the early miles <a and had stuck to my plan. I think that’s probably key in the ultras. 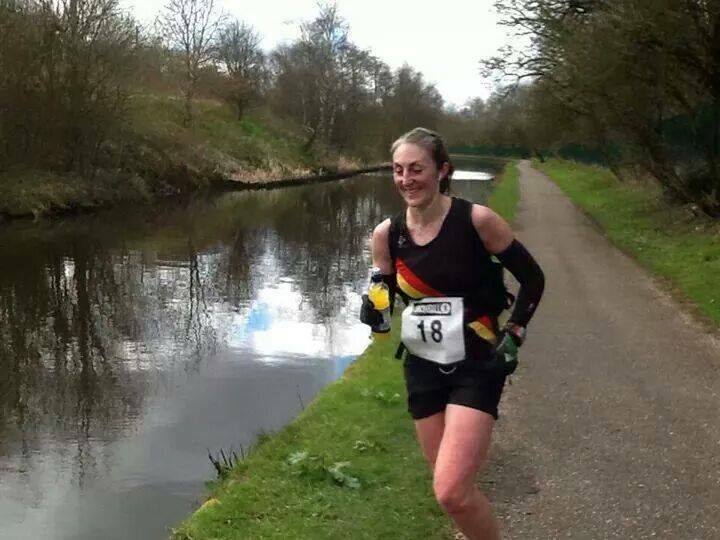 What made you decide to do the 100k Canalathon? I’d taken part in the 2014 50k Canalathon. I felt I didn’t do as well as I’d hoped in the race, I think I finished about 6th or 7th lady and ran about 5 hours 20 minutes. I’d run it all the way rather than fitting in walking breaks as I did during the Ladybower race. I felt that 50k was maybe a little short for me and that I might do better in a longer event. So when I heard that John was putting on a 100k option I signed up as soon as the entries opened. And then a day or two later it sank in, and the thought of running a 63 mile race nearly made me weep! Well, I knew that I would have to experiment with eating and taking on calories during the race. I also knew that I needed to do all my long training runs along the canal and I decided I wanted to have run and experienced every mile along the canal at some point during training. 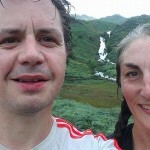 From my experience of the 50k canalathon I knew that it was mentally pretty challenging to run a long distance along a relatively flat path with sometimes very few landmarks around. I ran several long runs along the canal, usually running from a central point, out for 7.5+ miles and back and then out in the other direction for 7.5+ miles and back, totalling 30 miles for example. Sometimes I was limited time-wise so would run do the same kind of thing but base it on time rather than distance, so out for 1.5 hours then back and out the other direction for 1.5 hours and back again, totalling 6 hours for example. This worked quite well, I think I got up to about 35 miles doing this method. Most of the training was done in the winter months, in the limited daylight hours, so effectively running from dawn until dusk. 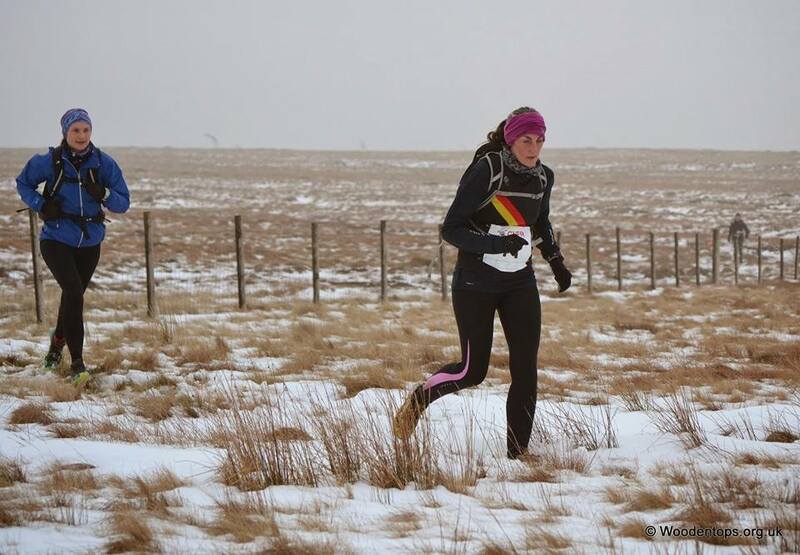 A few long runs were done in heavy snow and terribly icy conditions. I wanted to do the long runs whatever the conditions though, I mean, you never know what the weather will be like on race day. And if I know I can run 34-35 miles in the snow/hail/wind the at least I’ll know that if it’s snowing on race day I shouldn’t be too phased! I experimented with eating during my long training runs too. I wanted to replicate as closely as possible to what I’d be doing on the day. My runs over 30 miles went really well, I ate roughly every 1.5 hours, just crisps, chocolate, some jelly babies or Soreen and my stomach was absolutely fine. I built up the runs so that my last long training run was about 41 miles. I found that I got to 40 and (to coin a cycling term) ‘bonked’. I had to stop, I just couldn’t run. I was hungry, so ate some chocolate and managed to finish the 41 miles. It had felt dreadful and as my last training run it could have left me somewhat demoralised, but actually it was a really useful experience and I was glad it had happened as I knew then that I wasn’t eating enough to sustain me over the 100k distance on race day! A learning curve! Describe your experience of the day (100k Canalathon). We started from Sowerby Bridge at 8am. Everything went well, I was really familiar with the canal route and I think this really helped psychologically. I was sipping energy drinks every ten minutes (which I’ve done in every long race since I started I think, it seems to work for me as it keeps me hydrated and also breaks up the time a bit!). I also drank water from my hydration pack during every walking break. I worked on a 25 minutes run, 5 minutes walk schedule which had worked well for me at Ladybower. I saw friends at Smithy Bridge and crossed paths with some team-mates who were on the 50k race, running the opposite direction… high fives and a hug really gave me a lift! The leg out went quite smoothly, I saw Mia and my aunt and uncle, plus more friends, near Castleton which was lovely. Had a bit of a wobble when I thought “I’ve still got about 10 miles to Manchester and then I’ve got to run all the way back!” Thankfully the wobble didn’t last long. I knew I had to control thoughts like those, to not think about the distance and just try and enjoy the Barbershop day. It felt warm running into the sun all the way to Manchester, I definitely hadn’t been used to this during training. Luckily at the last minute I’d packed sunglasses and I wore them pretty much all way – the first time I’d ever run in sunglasses! I reached Manchester just after 5 hours 30 minutes which was pretty much as expected. I filled my water bladder in my backpack, quick nip to the loo (and had a shock when I looked in the mirror to find my face full of freckles – running into the sun for 5½ hours will do that though I suppose! I had found it difficult to eat as much as I’d planned, I wanted to try eating every hour but had only managed a bar of chocolate and some crisps during the first 31.5 miles. 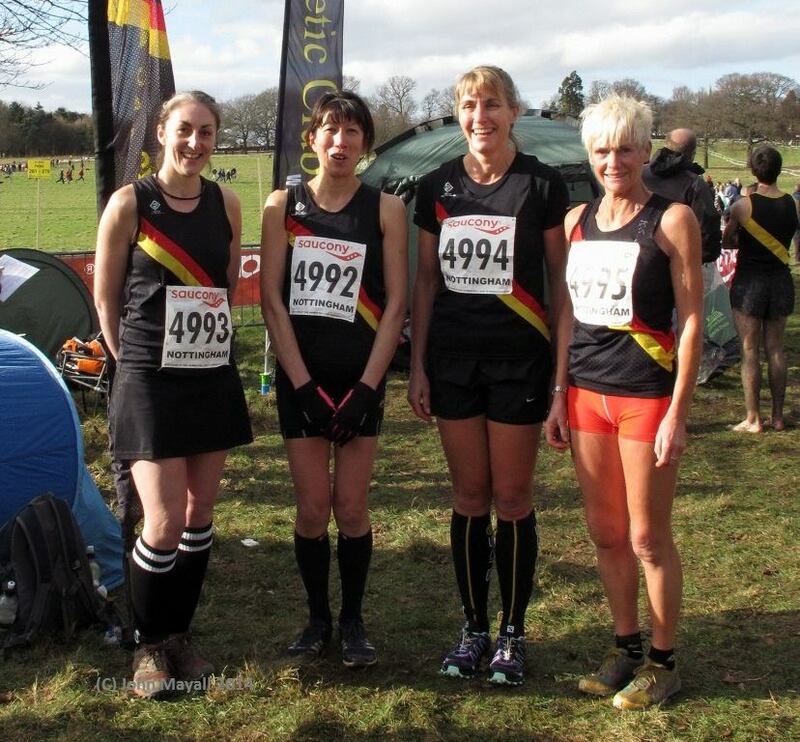 Some friends from the running club met me at Manchester and that gave me a huge boost. Paula gave me some gels when I said I’d struggled to eat much. I don’t tend to use them much but took them gratefully – even though I didn’t manage to eat them. I set off back for the return leg to Sowerby, feeling pretty good. Things soon started to go somewhat downhill shortly afterwards when I started to feel sick. I’d never experienced anything like it in training or any time I’ve run. I’d regularly run much further quite comfortably with no issues with nausea at all. The only thing I can think that was different in the race compared to training was the sun. I really struggled, I couldn’t eat anything other than a few crisps and half a piece of Soreen all the way back. I did manage about half a dozen jelly babies though. Even the energy drinks were going down with a real struggle. I’m not sure just what my body was running on during the second 31.5 miles! I caught up with the lady in 3rd place, at the checkpoint near Rochdale. She was also feeling sick and had been unable to drink or eat and decided to retire from the race. A high point cheap MLB jerseys on the way back was seeing a group of Harriers stood out along the stretch past the Sandbrook pub at Rochdale. What a fantastic feeling it was to see them all out to support me, I can’t express how much I appreciated it. Littleborough was a particularly tough section. 50 miles in my legs and still another 13 to go. Luckily more friends were there to cheer me on and my dad came out too. It was really hard to keep going, in fact I’d call it quite de hellish. I just wanted to stop and lie down! I can remember saying to Nick ‘it would be fine if I wasn’t feeling so sick!’ Ian and Paula travelled along from Manchester and I was so grateful for the company and encouragement, just after Littleborough especially. Nick had been cycling along and joining me for walking breaks too which was so helpful. I can remember thinking ‘I’ve only got to do this one thing today. There’s nothing else I need to do, as long as I finish this one thing’. I remember saying how hard I was finding it but then saying ‘I’ll do it, I’ll finish, but it won’t be pleasant’ or words to that effect! I was wholesale jerseys also aware of the fairly strict time cut off points and had been a bit worried about missing those and being asked to retire from the race. Then I realised that even if I didn’t make the cut off times I could carry on under my own steam and still complete the distance, so I relaxed a bit then. I caught the lady in 2nd place at the checkpoint just outside Todmorden. She retired from the race at that checkpoint. At Hebden, 7pm by this time, I had to stop and get the head torch on and ran the last hour in the dark. It was a wonderful feeling reaching the last checkpoint at Hebden, knowing there was only 5 miles left. And I counted down every single mile. I had a couple of trips running in the dark (even with the headtorch – tired legs!) and actually fell over at one point. The last few miles were in a woody area, not many lights around. Finally I passed the sign saying I was a mile from Sowerby, and could just see the lights of the town. Elation!! 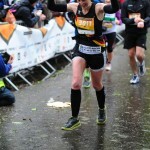 The last mile was my fastest mile over the previous 26 miles, I was so thrilled (and relieved) to have reached the end. As above! Also the thought of letting all the sponsors down in my fundraising for Royal Manchester Children’s Hospital. I think you get to a certain point and things start hurting – roughly 25+ miles. They seem to then plateau and never really get any worse but of course it then becomes a mental challenge – the distance – that takes over… and just carrying on and not giving up. Just keep going. What tips would you offer anyone considering running further than they’ve ever done? Train for the distance and terrain you’re planning on tackling. Train train train. Practice, practice, practice. Talk to other people about their experiences and practice every aspect in training, don’t leave anything to chance. Know that you will at some point (or several points!) feel quite dreadful, that this is to be expected and that you will push through. You’re generally capable of doing much more than you think you are. When I first started running marathons – put your name on your vest and you’ll get the spectators cheering you on, it gives you such a fantastic lift! And also, when you start running long distance that expect it to hurt at some point. That’s pretty normal! I can’t imagine my life now without running. It’s given me a release from stress, amazing friends, a wonderful partner, immense personal fulfilment. Having personal goals and really pushing yourself beyond your comfort zone is so important. I hope I never ‘sit on my laurels’. There’s always another challenge to do. I had a really good friend, Joanna, who died when we were only 28, just before Mia was born. Mia’s was then given the middle name Joanna in memory of her. I think about Jo often and feel that I should really try to make the most of my life. That I should make the most I possibly can of the fact that I’m fortunate enough to be fit and healthy and able to run. Running is a massive part of who I am now. 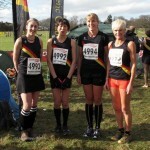 I just hope I can carry on running for several more years (decades) yet!! What would you say to anyone thinking of taking up jogging/running? And…! Go slow, and build up slowly. Walk if you need to, take it easy and enjoy it. Make the time even when you’re tired after work etc.. it’ll energise you and you’ll feel amazing for having done it. If you don’t try you’ll never know. If I can do it any one can do it. And think about joining a club, we are all very friendly! Jill, thank you so much for this. I know you’re not normally one to talk about yourself and had never considered yourself a role model. I’m pretty sure your ongoing running journey will prove to be inspirational to the running community as a whole. Wow – I’m honoured really. But glad that I’m inspiring women to get out there and push themselves.